Feeling sick after eating is typically an indication that you may vomit, though this is not always the case. This is a sign that your intestines or digestive system are suffering from distress. Certain medical conditions or bad habits can cause you to constantly feel nauseous after you eat, making it difficult to get the nutrition you need. Narrowing down what is causing constant nausea may take time, so you will need to be patient and carefully evaluate your intake to eliminate your symptoms. Why Do You Feel Sick After Eating? There are a number of conditions that can lead to frequent nausea. Evaluating each in turn will help you determine what might be causing your discomfort so you can stop putting stress on your system. Food poisoning- If the food you have consumed was contaminated with bacteria or fungus it can lead to nausea. Your body will attempt to induce vomiting to prevent these pathogens from infecting the body further. Food allergy- If you have consumed an ingredient that you are allergic to, you may become nauseous or vomit as your body attempts to get rid of it. Noting what you have eaten when the nausea occurs and avoid such food items later can help you reduce the onset of nausea and vomiting. Improper eating- Eating too much too quickly or failing to chew your food thoroughly can cause you to become nauseous after you eat. This may also cause indigestion or heartburn. Indigestion- Indigestion is caused when excessive stress is placed on the digestive system, also known as dyspepsia. You may also experience stomach pain, burping, gas or bloating. Rumination- This condition is described as the regurgitation of food within minutes of ingesting a meal, limiting your body's ability to digest it fully. Peptic disease- When the lining of the esophagus, duodenum or stomach is eroded, it can cause nausea, reflux or digestive distress. Smoking, drinking or using anti-inflammatory medications can worsen this condition. Acute gastroenteritis- Gastroenteritis is more commonly known as the stomach flu, which can be caused by virus, parasites or bacteria entering the digestive tract. You may also experience gastroenteritis if a mucosal malady is present. This illness causes frequent diarrhea, vomiting or nausea. Cyclic vomiting syndrome- Cyclic vomiting syndrome is a disease that causes the body to undergo bouts of nausea or vomiting for hours without any additional symptoms. These attacks can occasionally last for days. Gastroesophageal reflux disease (GERD)- GERD combines side effects of regurgitation, dysphagia and heartburn. This is caused when stomach acids mix with undigested food and make their way into the esophagus. Some psychological disorders can put stress on the digestive system. Nausea is often associated with stress. Disorders such as bulimia can also cause long-term side effects, including nausea when you eat because your body is so used to becoming sick and rejecting food. Gallstones can also cause frequent vomiting and pain. This will be particularly pronounced after you consume greasy or fatty foods. Appendicitis may also cause vomiting alongside pronounced stomach and abdominal pain on the right side of your body. Adjusting eating habits- Eating smaller meals and learning what behaviors trigger your nausea can help you avoid this condition. Chewing food thoroughly can also help reduce these triggers. Relax the body- Eliminating stress can help you avoid nausea. Avoid eating in a room that is excessively hot or stuffy as this can cause the body to feel stressed, dehydrated and nauseous. If you are prone to stress in other areas of your life, practice meditation, yoga or other stress relieving programs to help calm yourself. Working with an anger management coach or therapist can also help you get stress under control. Do not force yourself to vomit to rid yourself of the nauseous feeling. This can make your nausea worse over time and can do damage to the body. Control nausea- Some foods can help you manage your nausea so it does not interfere with your digestion. Sipping chamomile or peppermint tea can help soothe the digestive system after a meal. Herbal tea can also promote digestion and reduce nauseous effects. Grains, green leafy vegetables and fruits can eliminate the urge to vomit so you can allow your body to settle. Consuming ginger is also a classic home remedy for eliminating nausea. Avoid irritants- Eating in an irritating environment can cause the body to become nausea. Perfumes, cooking odors, chemicals, smoke from vehicles, cigarette smoke, irritating smells and more can cause the body to become nauseated while you try to consume a meal. Eating in a room that is an uncomfortable temperature or eating at a table or in a position that makes you uncomfortable can also lead to poor digestion that can make you nauseous. 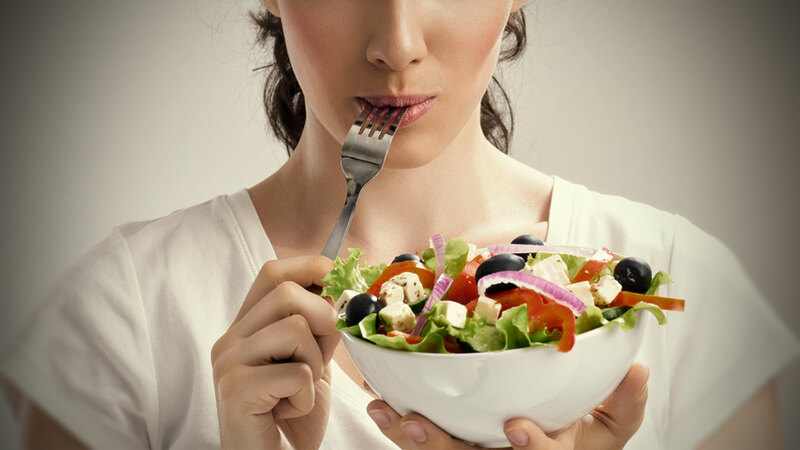 Change diet- Eliminating irritating foods from your diet can help get rid of the issue of feeling sick after eating. Identify specific foods that seem to make you ill and avoid eating them, especially if you appear to have an allergic reaction to the substance. Eliminating foods that are very greasy or spicy can help you settle your stomach. Foods that are extremely hot or cold can also cause the body to become nauseated easily. Take medicines- There are several anti-nausea medications available over the counter. Taking medication for nausea, heartburn, acid reflux or indigestion can help you avoid these unpleasant symptoms. If you are dealing with constant nausea your doctor may be able to prescribe medication that can help you eliminate your discomfort.